Call the office today to schedule your vaccine! Quality pediatric care delivered with caring, professional, and efficient service is the goal of Cornerstone Pediatrics. We recognize that children and their families have unique health concerns. We want to help children get well and will work with families to help them stay healthy through education about disease prevention and health promotion. Please call our office for any prescription refill requests. Due to the volume of unsolicited pharmacy refill requests, we are asking our patients to contact us instead of the pharmacy. 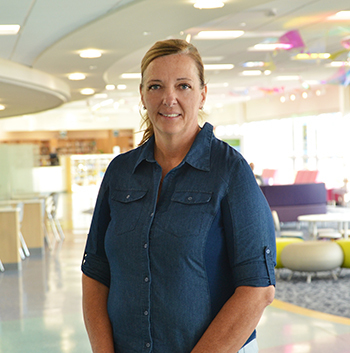 Cornerstone Pediatrics welcomes Polly Vaughan. Polly is a graduate of Wright State University where she received both her undergraduate and masters degrees. She is board certified as a Nurse Practitioner and Family Nurse Practitioner. She holds additional certifications as a Pediatric Primary Care Mental Health Specialist and for headache medicine. She has 11 years experience as a Nurse Practitioner.